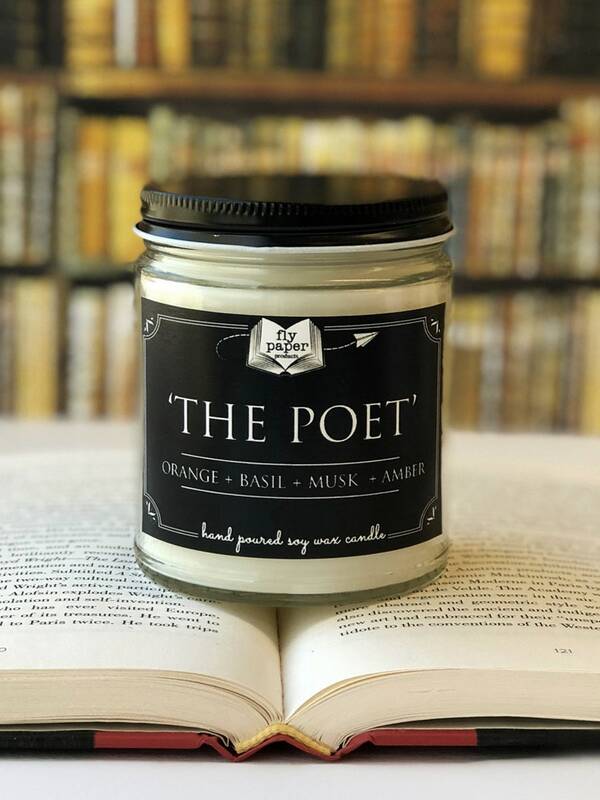 'The Poet' is inspired by the melodic flow of rhythm, words and ideas coming together with the intensity only a poet can bring. The fragrance is a fresh blend of orange and basil with notes of amber. Our luxury soy candles are 3.5 inches and have an approximate burn time of 50 hours. Each 9oz candle comes with a black screw top metal lid, which is great to keep dust out when not in use and prolong the scent. The jar can also be washed and used over and over again.